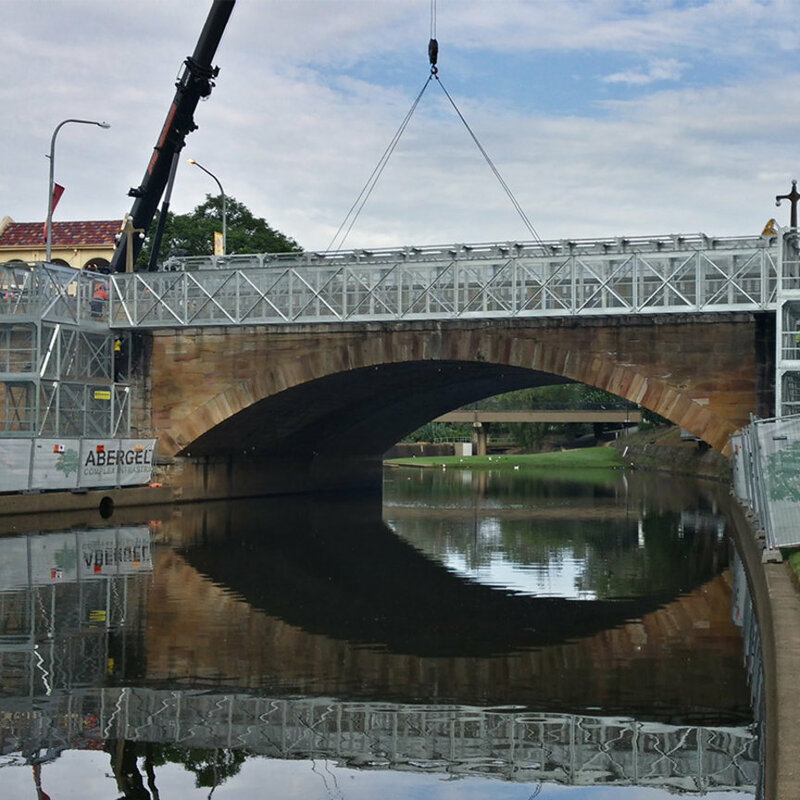 The Preston Bridge is designed to simplify and provide a solution to your project. 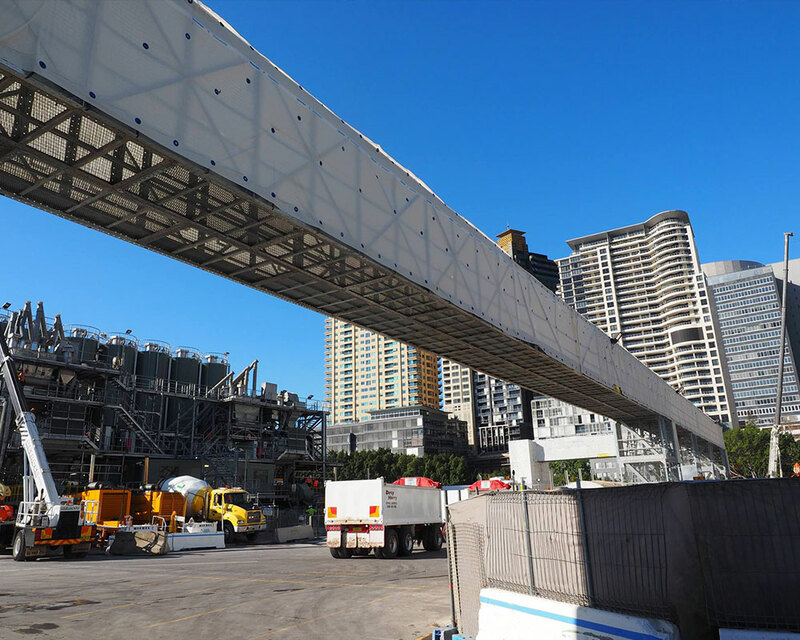 This revolutionary unique Preston innovation offers solutions to many issues and problems happening on site. 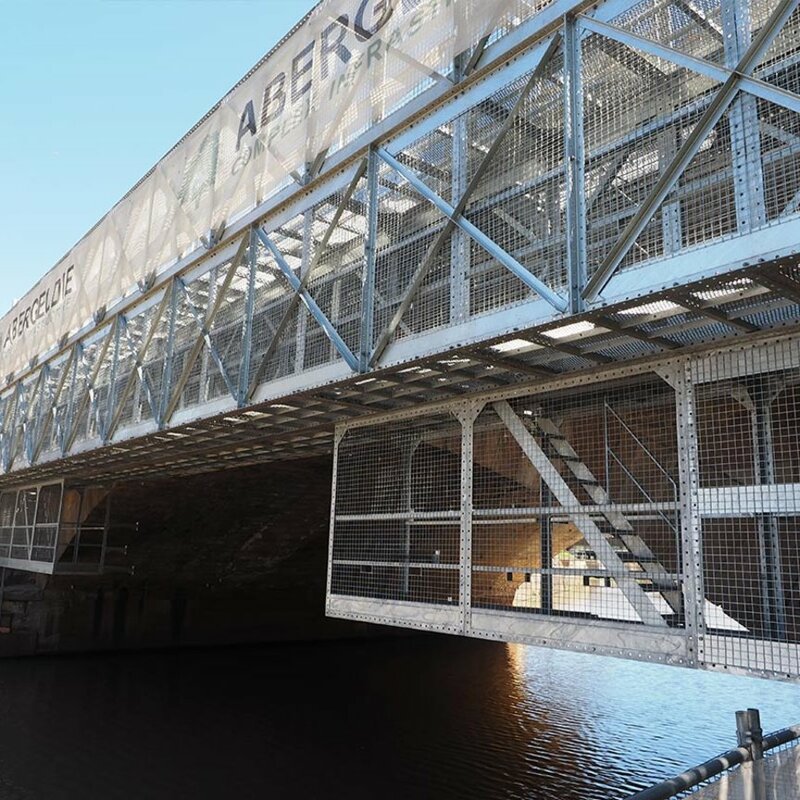 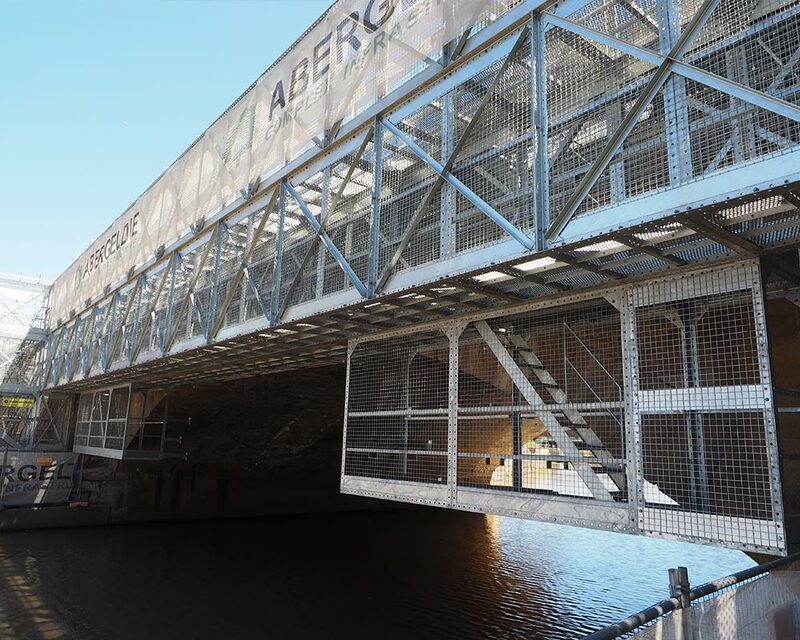 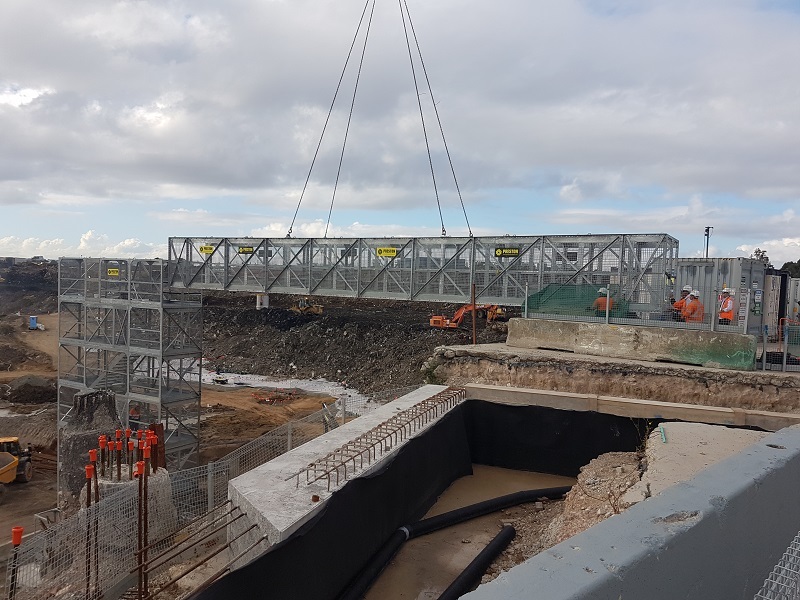 The Preston Bridge has dramatically increased productivity, access and safety for the public and on site, saving builders time and money. 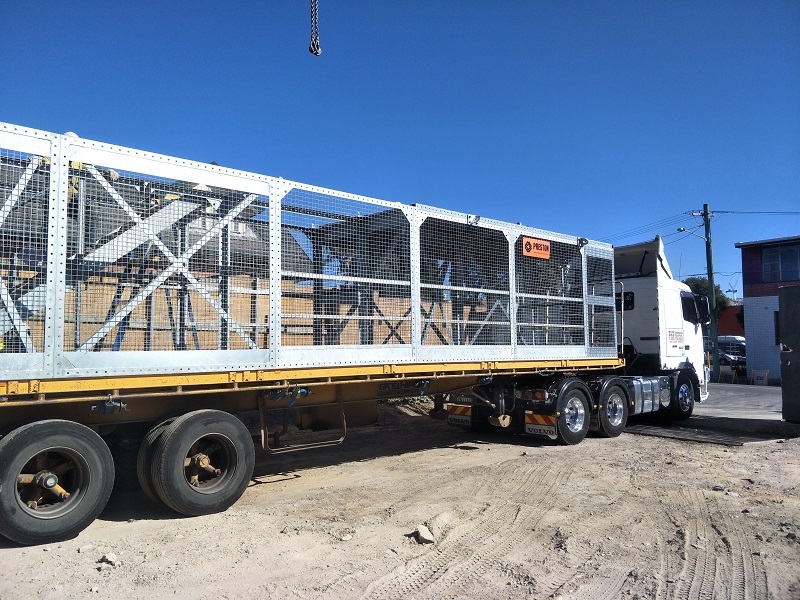 Preston’s patented Preston Bridge has provided public, motor vehicle, truck, machinery movement and worker access on site and increasing efficiency and productivity for the builder by moving people across from one point to another with or without overhead protection. 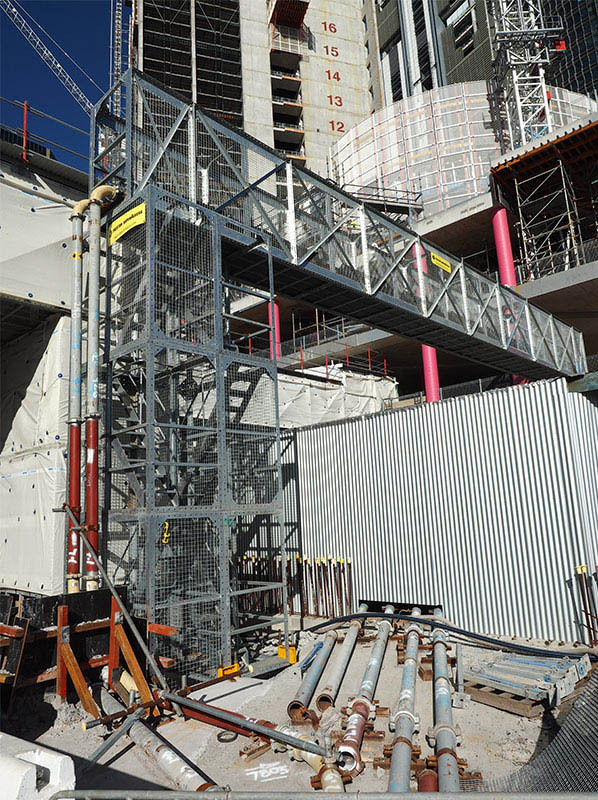 Designed to simplify and provide a solution for public access, project and builder needs on site. 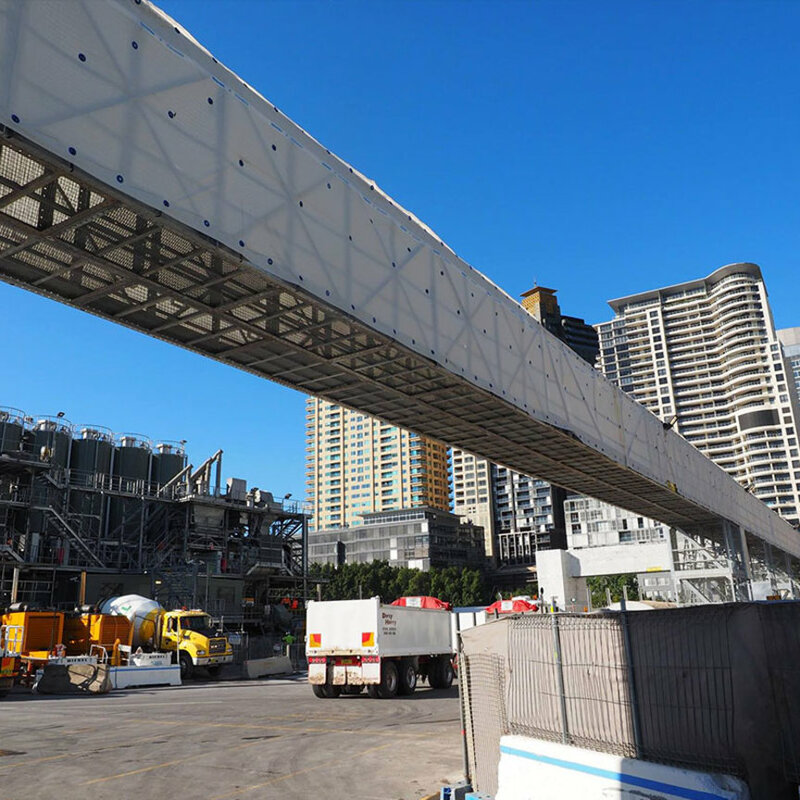 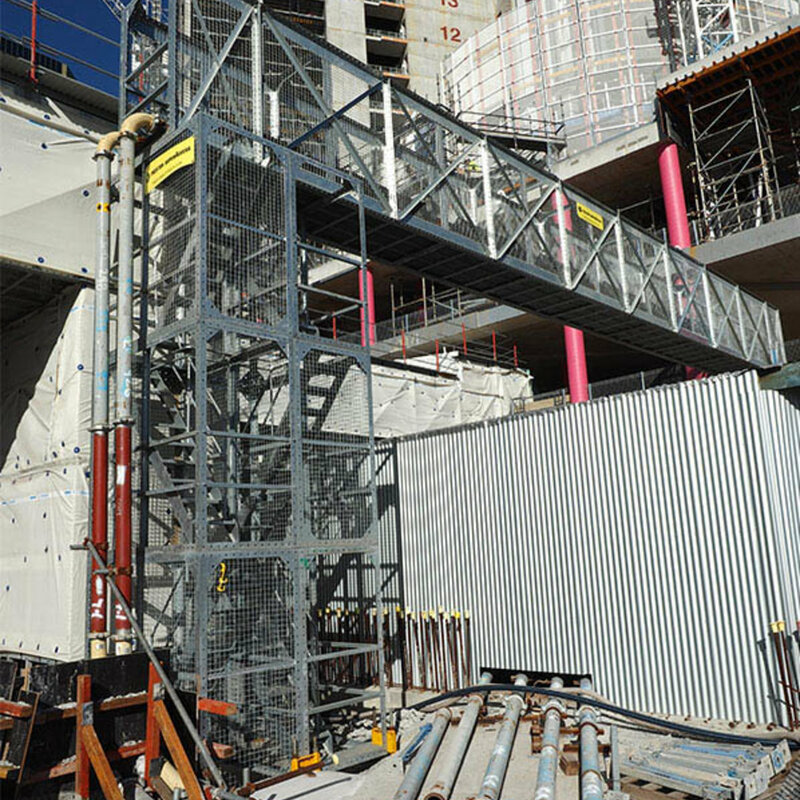 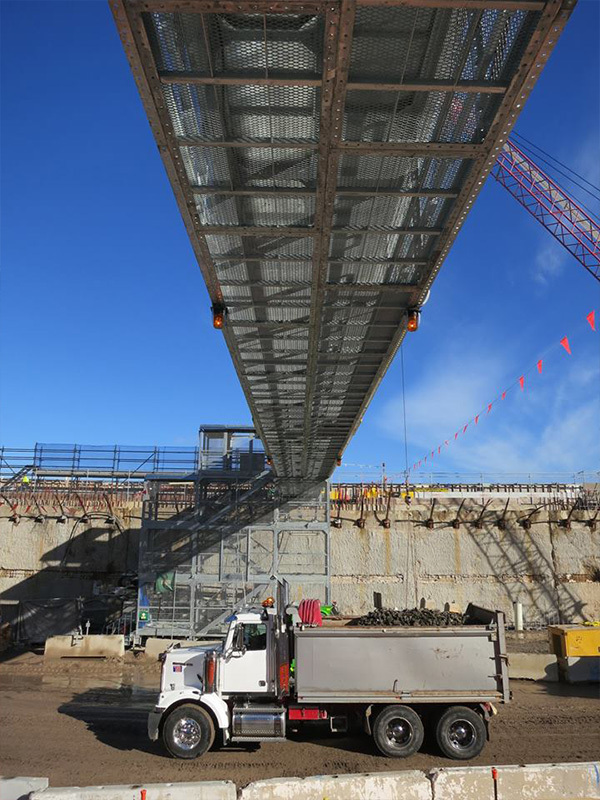 Preston Bridges exceeds Australian Standards and provides superior safety and quality to its users. 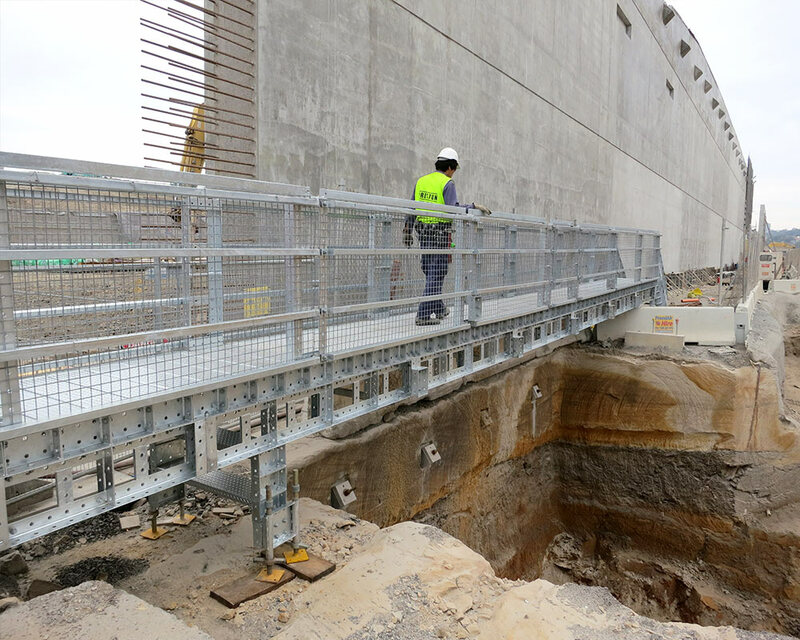 Preston’s is personally committed to our people, our clients and the wider community and therefore committed to creating superior products that are of highest possible standards, safety and quality control. 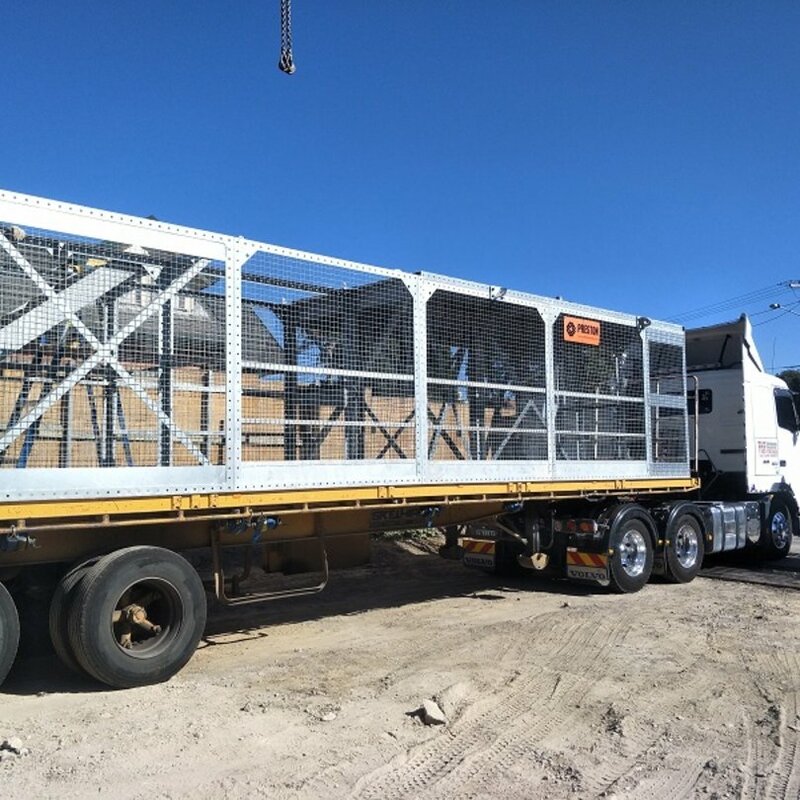 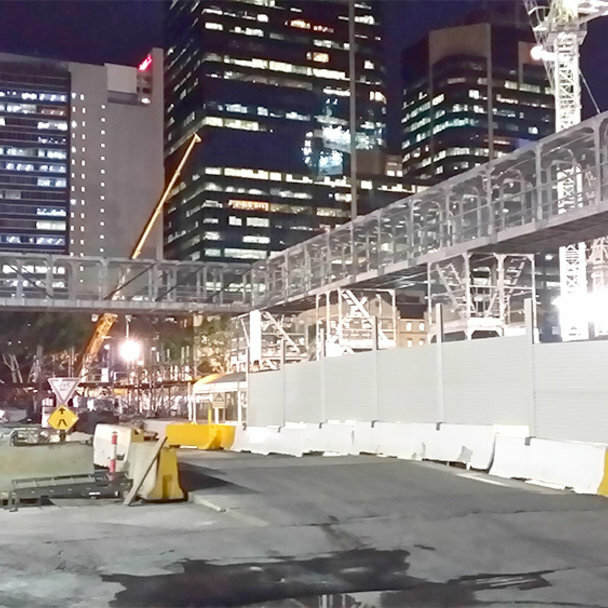 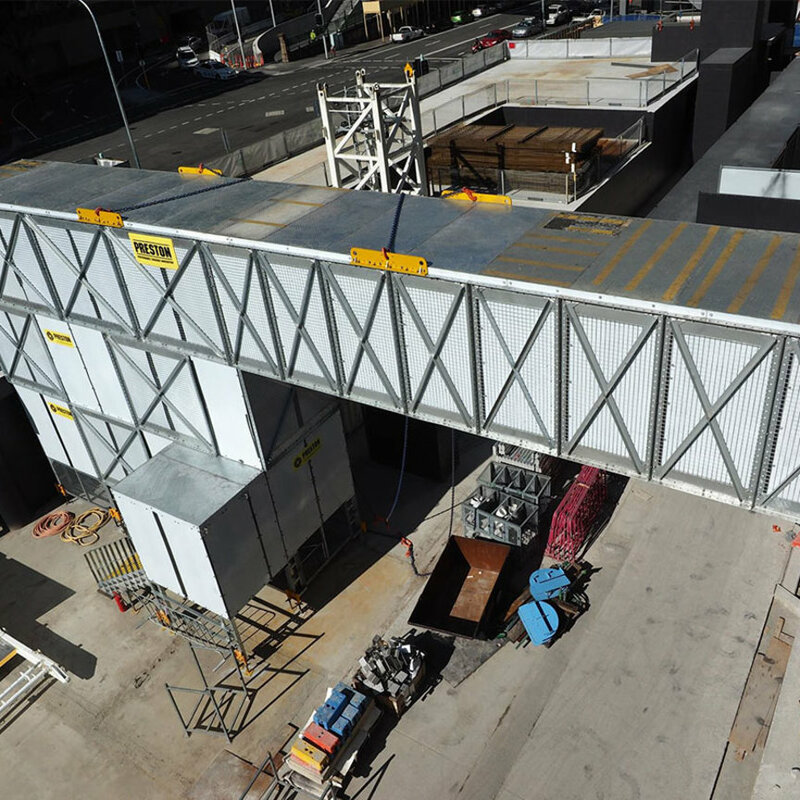 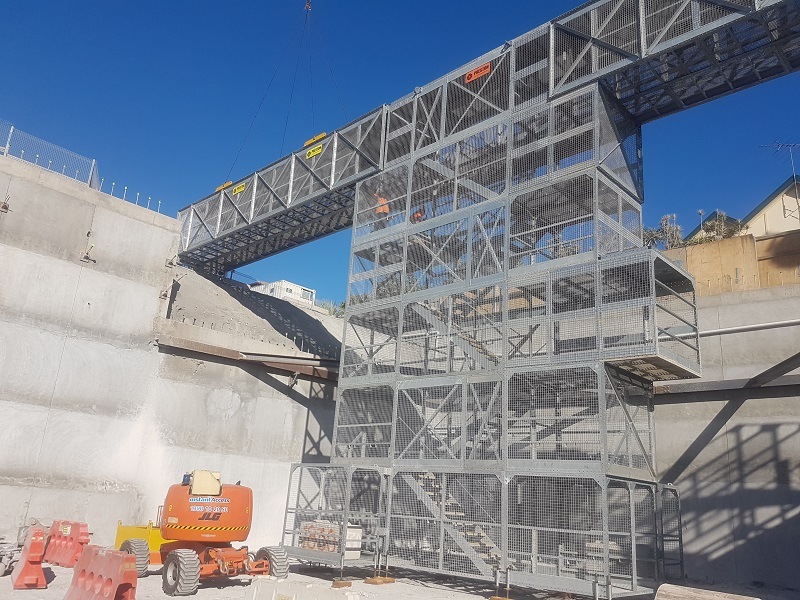 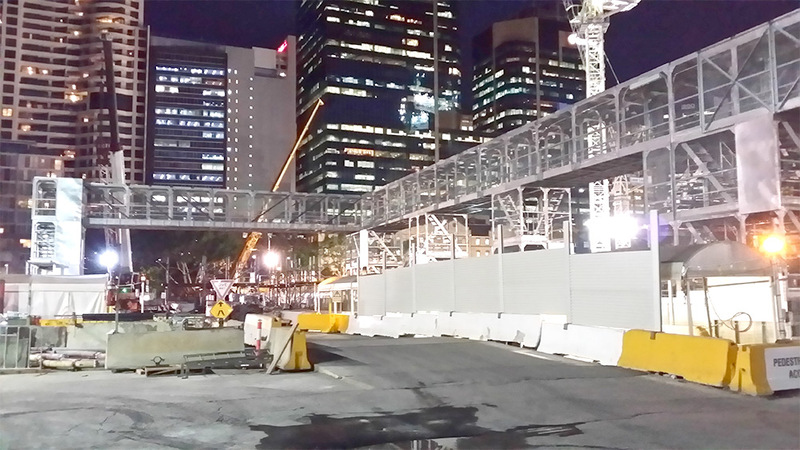 Preston Bridge is a temporary or permanent public, motor vehicle, truck, machinery movement and or site worker Access Bridge which can be custom made to suit your requirements on site. 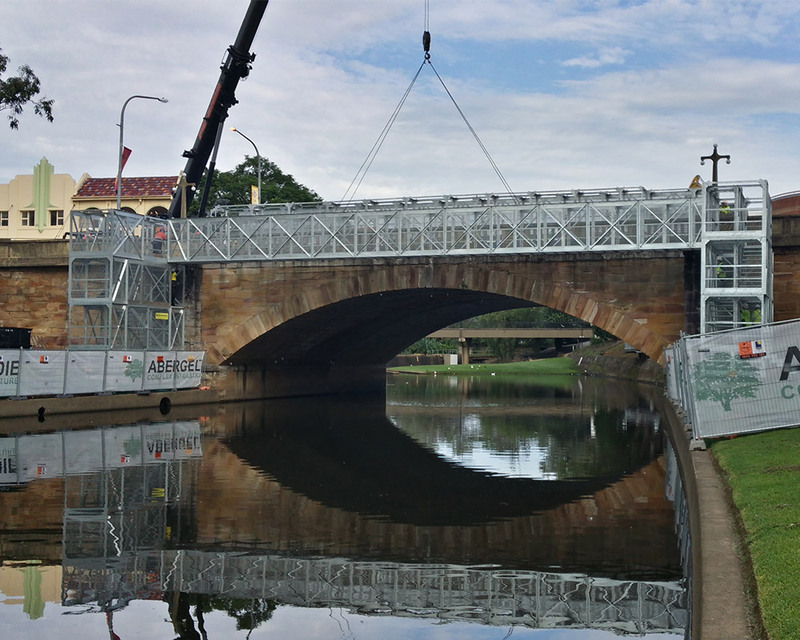 The Preston Bridge can move pedestrians, machinery or heavy trucks. 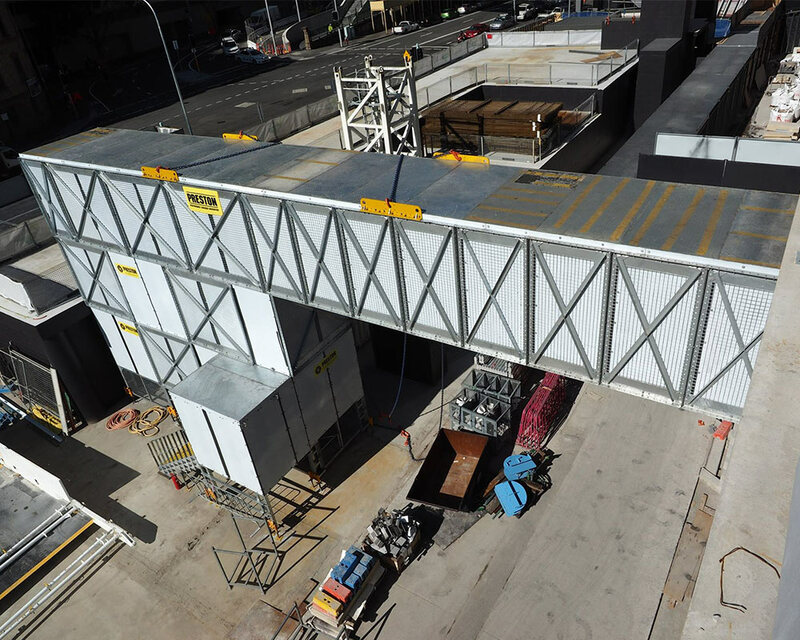 It can be weather proof and also provides 10 KPA roof protection. 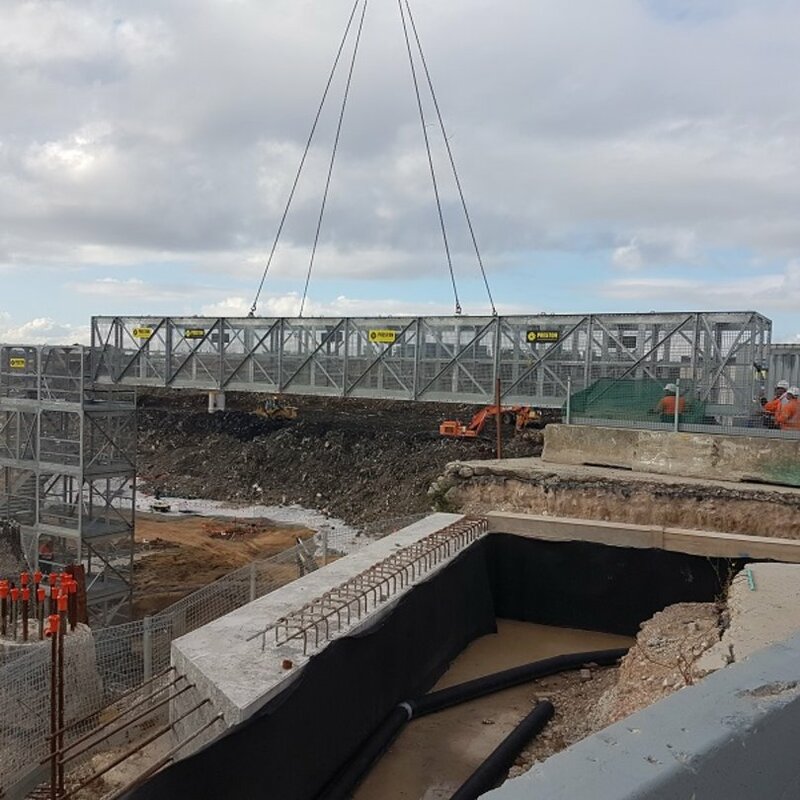 To further assist our clients, the Preston Bridge is quick to install and a 35m free span bridge can take as little as 1 day to install. 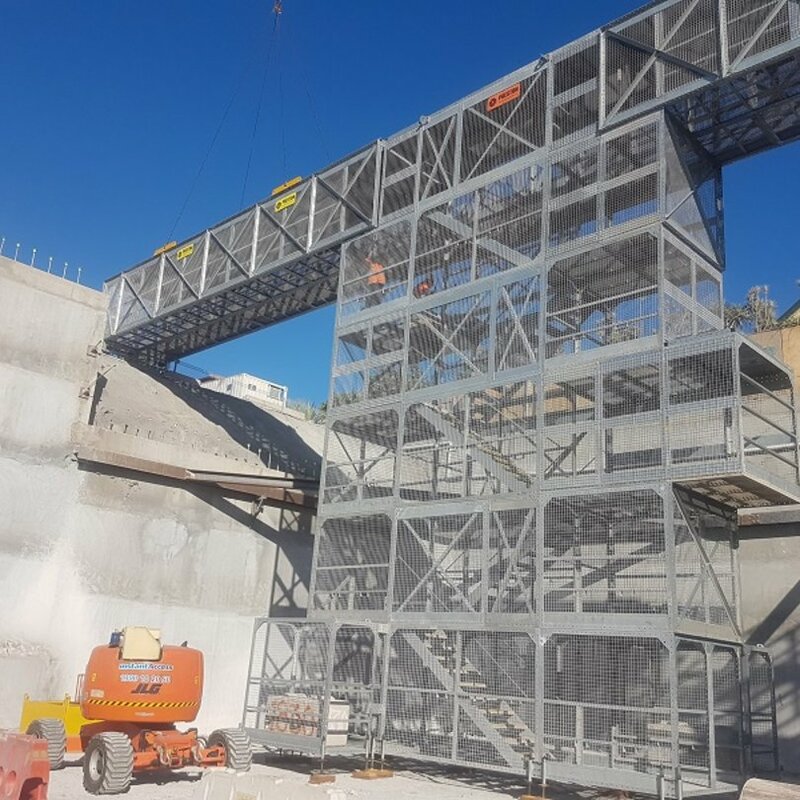 As a company with over 40 years experience in the construction industry, we have a thorough understanding of public and site needs from providing access to finding solutions to get your job done safely, efficiently and within your budget. 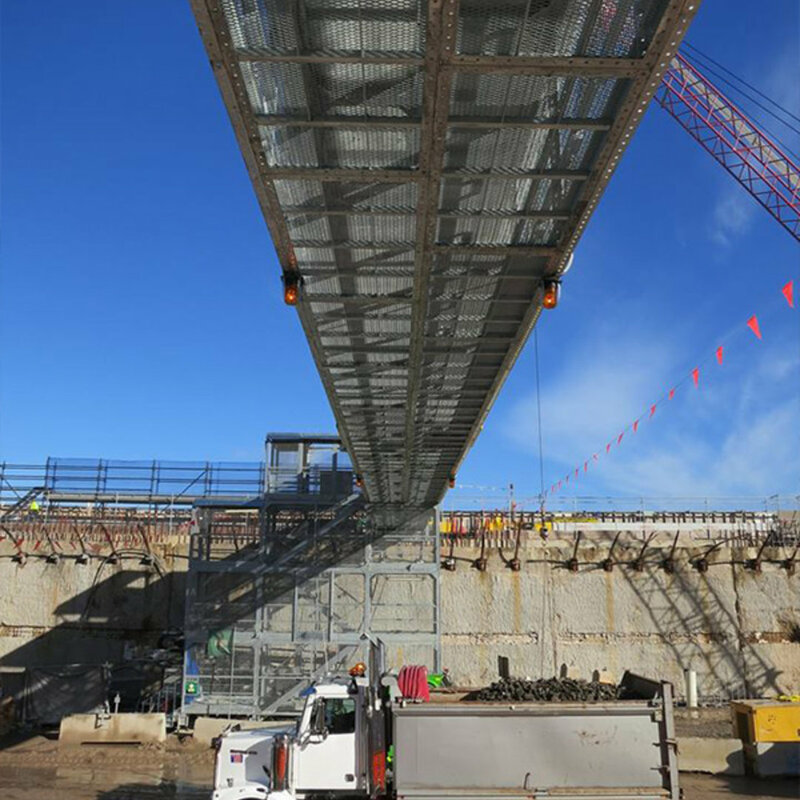 You can count on Preston to provide the assistance you need to get every project completed safely and efficiently. 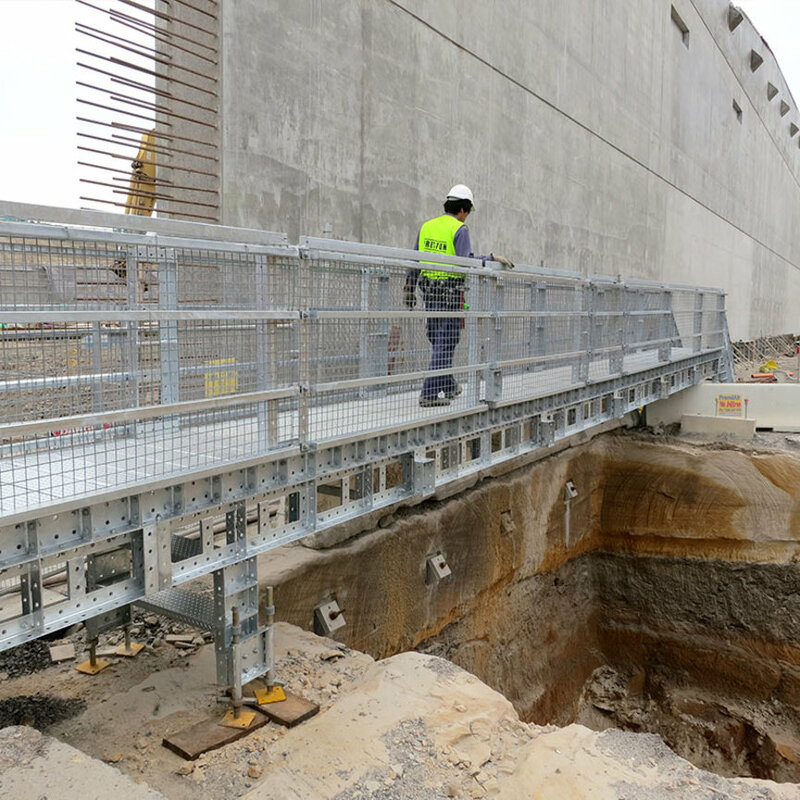 We understand the pressures faced in construction and provide seamless equipment hire service that simply lets you ‘get the job done’.